All horror fans love a round of the good old horror convention circuit. Filled to the brim with horror vendors, celebrities and icons; there is something for every horror fan. Los Angeles has had their fair share of these types of events with ScareLA, Midsummer Scream and Monsterpalooza, so it is only natural that Northern California get a taste of the blood. The Sinister Creature Con boats a massive collection of horror genre craftsman that give monsters their proper title. Painters, filmmakers, sculptors, tattoo artists, comic book artists, graphic designers, practical FX companies, actors, writers, haunted attraction engineers are all collectively part of this festival. What really gets my blood flowing is the nostalgic aspect of this event. The best element? This horror convention is not just geared towards celebrities but rather those that work aimlessly behind the scenes to make monster movie magic. What can you expect at Sinister Creature Con Stockton? 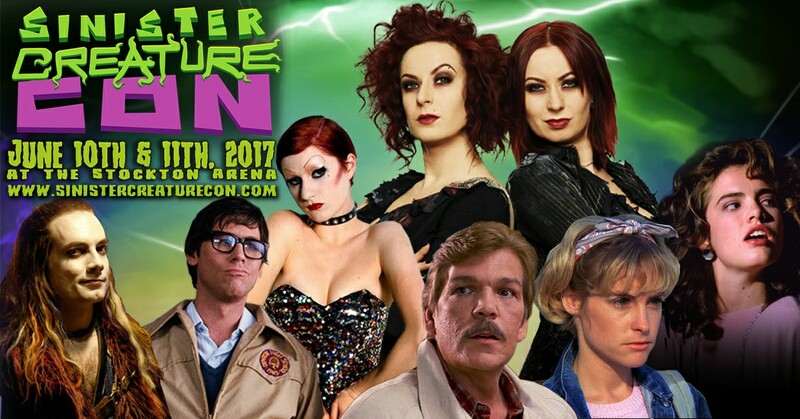 Featured guests include Heather Langenkamp, The Soska Sisters, Don Coscarelli and Katharine Isabelle. Saturday’s panel schedule includes guest celebrity Don Coscarelli discussing his films Phantasm and The Beastmaster on Saturday. Freddy’s Children with Heather Langenkamp, Ken Sagoes, Ira Heiden and Brooke Theiss should be one of the most packed rallies of the evening. On Sunday, fans of American Mary will hear The Soska Sisters, Katharine Isabelle and Tristan Risk talk about the core of the film. For a full schedule of guest and panels, head on over to the official site. Expect to pay in the range of $25 – $50 for select autographs and selfies. Vendors and select makeup artists will be on the arena floor. Featured guests/celebrities will be on the 2nd level deck. The cosplay competition will take place on the 3rd floor. Sinister Creature Con does have an app! Keep up to speed on all the panels and what’s going on around you. 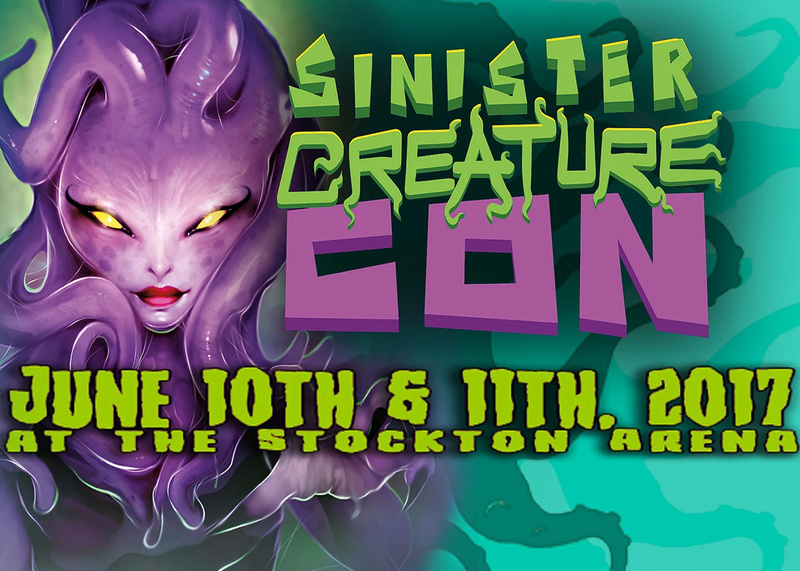 Sinister Creature Con will take place at the Stockton Convention Center On June 10 and 11, 2017. Doors open at 10 a.m. Ticket prices range from $15 to $35 dollars plus any applicable fees. Tickets will be available as early as 9 a.m. Saturday morning at the Stockton Arena box office. Parking is available for a fee. Morbidly Beautiful is thrilled to be attending this year and covering all the Creature Con goodness. Be sure to follow us on social media on Instagram, Twitter and Facebook for complete coverage and updates.